February and March are such teases in Ohio. Right now we seem to be having a bit of a mini-thaw and the sound of dripping water is everywhere, but I know there are more snow showers in our forecast for later this week. I’m certainly guilty of complaining about the knee-deep layer of snow that’s been on the ground for the past several weeks, but I’m gaining a whole new appreciation of that fluffy white snow now that it’s being replaced by slush and mud. What’s worst is when you step into what looks like a drift of nice snow but turns out to be a thin layer of snow on top of a lot of slush and liquid. Instant soaking foot. Eeeeew. When you live in the woods, one of the nice perks of having a thick coat of snow on the ground is seeing all the animal tracks. 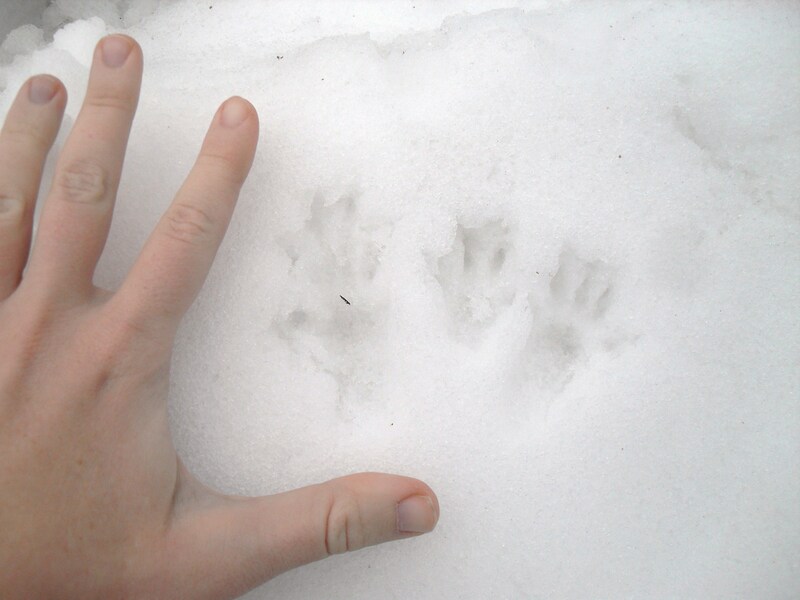 During the day the only mammals we see a lot of are the gray squirrels, but the tracks in the snow reveal what a busy place our woods are at night. 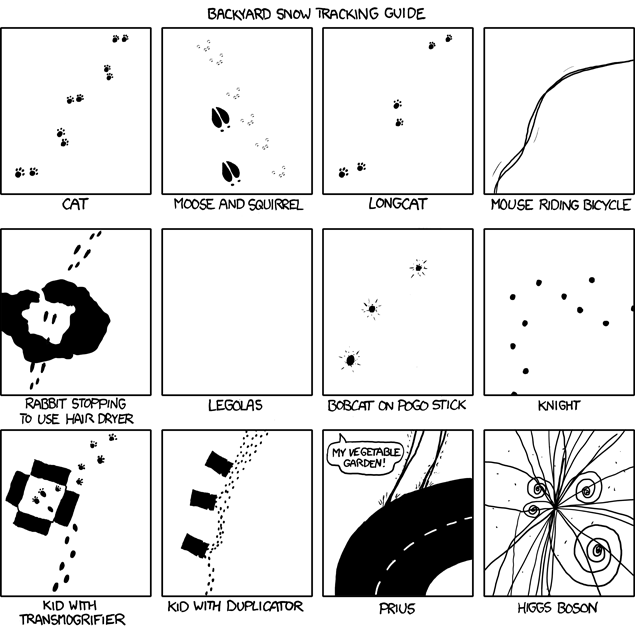 I’m a novice at identifying tracks but you’d be amazed what you can learn from a little Googling. Note the five toes. These were definitely too big for a squirrel, and I know raccoon prints are more hand-like – wouldn’t they have longer “fingers,” and a distinct “thumb”? After comparing with some picture online, my guess is skunk. But who knows. These are a little easier. Five toes in front, four in back: teh internetz inform me that this is a trait of mice and squirrels. And since the track ends abruptly at the base of a tree trunk, I think it’s a safe bet that these are indeed from my old buddy the gray squirrel.